From left Vanessa Wright, Taylor Fiedeke, Micah Rassi, Evan Rassi, Nick Murphy and Joe Kelsheimer. 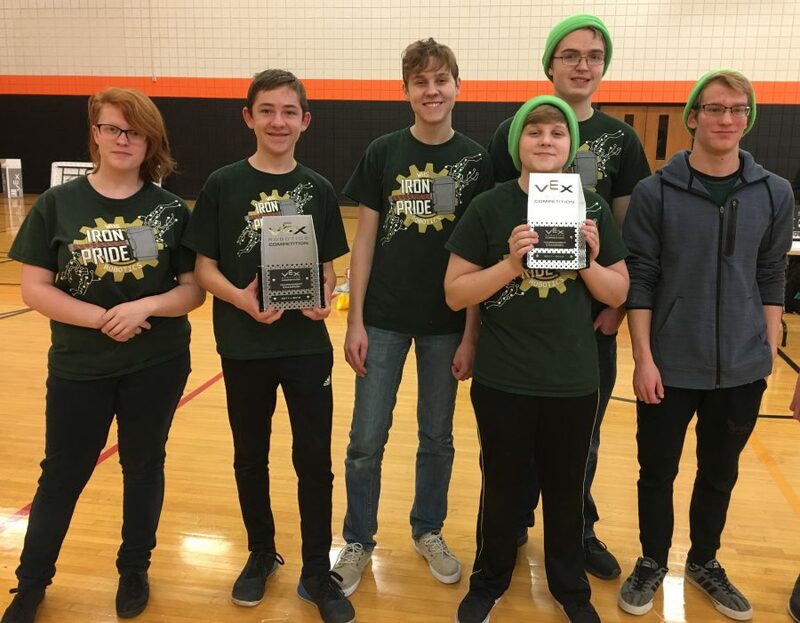 The six Wawasee High School Iron Pride robotics students make up two different teams qualifying for the Indiana VEX Robotics Championships. 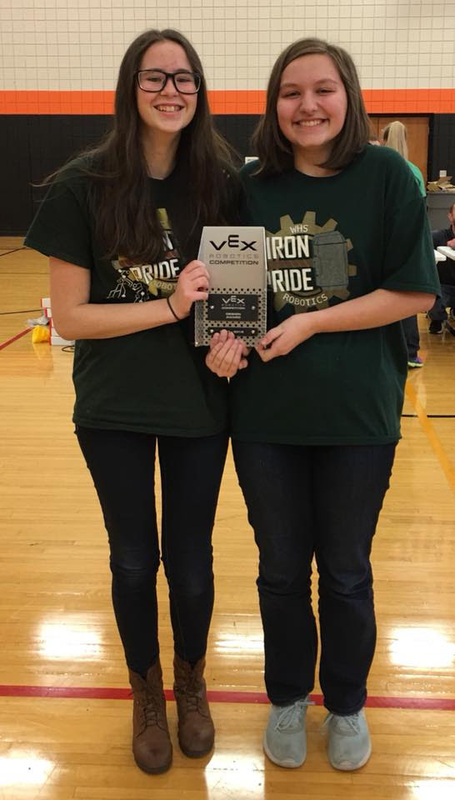 SYRACUSE — Two more Wawasee High School Iron Pride robotics teams qualified for the Indiana VEX Robotics State Championships. During a competition at the Warsaw Career Center Saturday, Jan. 20, “Centurion” consisting of Micah and Evan Rassi, Joe Kelsheimer and Nicholas Murphy and “Valkyrie” consisting of Taylor Fiedeke and Vanessa Wright claimed the tournament championship. The two Wawasee teams battled “Legends” consisting of Madi McDonald, Joe LeCount, Zach Avery and Davey Daffron and “Amazon” with Allison Cole, also Wawasee teams, for three rounds in the finals. “Legends” had qualified for the state championships the previous weekend. “Athena” consisting of Norah Miller and Makenna Tharp, another Wawasee team, won the Design Award based on their design process, engineering notebook and judged interview. “Spartan” with Gage Beezely, Connor Byrd and Spencer Naugler fell to “Centurion” and “Valkyrie” in the semifinals. Indiana VEX Robotics State Championships will be held March 10 at Lucas Oil Stadium in Indianapolis. Iron Pride will compete again Saturday, Jan. 27, in Jay County. Makenna Tharp, left, and Norah Miller won the Design Award.